A team may exist in name or structure but in order to be effective it must operate as a team. Our Team Building Programmes are highly focused on breaking down a team into its parts and re-building it to become more operationally sound. Every team is made up of individuals with varying strengths and weaknesses and effective teams will recognise this and use them to their best advantage. Below you will find shortlisted team building programmes that we recommend as the ones with the greatest focus on communication, team work and recognition of individual talents within the group. You can decide on the duration of your program, starting from 3h activity sessions only, through 6h programs (full day) with food to activity packages including accommodation and meals and activity programs spread over multiple days. Combining our team building programs with your own agenda is another alternative, you could spend have of the day participating in one of the activities listed below and use our conference facilities to deliver your own program for the rest of the day. How does your team perform under pressure? This is one way to find out. There's a plane gone off the radar; a missing pilot to locate and rescue; an explosive to be found and disarmed and some coded messages to be deciphered. Are you up for the challenge? This is an interactive business simulation event that will encourage participants to work together both within their micro- as well as macro-teams in order to deliver the final product to the customer. In this fast-paced, fun-oriented activity, the diversity of roles to be filled will allow everyone to get the opportunity to showcase their talents! A fast-paced, entertaining adventure packed with exciting challenges that will have your team bonding from the start. 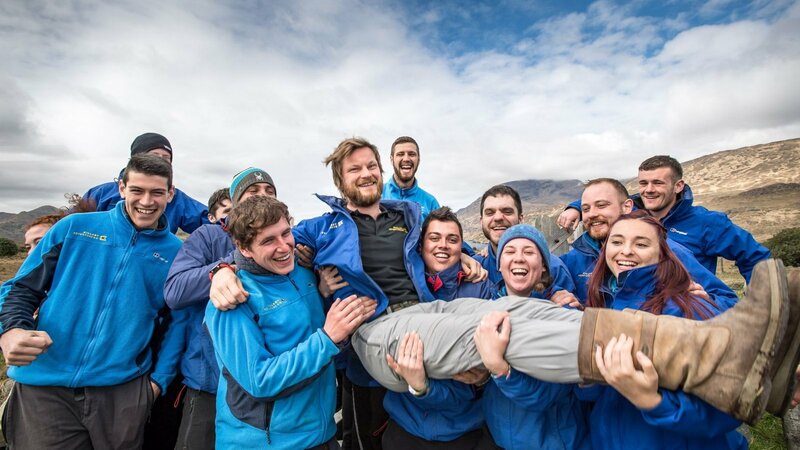 In order to succeed they will have to help each other get through the Connemara mud, surmount obstacles and race rafts on the waters of Killary Fjord. The day finishes with a fire-starting contest to decide the winner. This team building event is all about engagement, communication and cohesion. Your group will quickly unite and transform into a stronger team. While working as a well-oiled machine you may be surprised with the variety of individual talents that are sure to emerge. Everyone gets the opportunity to shine. This fun-filled team building programme will effectively encourage team planning, communication and strategic thinking. Through a series of fun and challenging tasks ranging from the silly to the intense, each team works to match their skills against those of the other groups. The higher the team’s score the more materials they will have for the high flying grand finale! 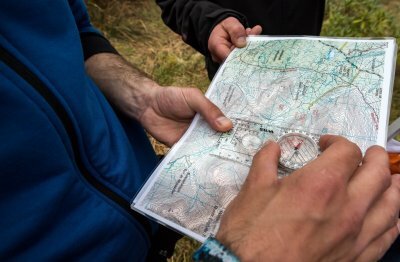 Incorporating the five core elements of group survival - Navigation, Teamwork, Food, Shelter Building and Fire Lighting - your team will learn all the core skills before being put to the test to complete a series of challenges on our 100 acre site in wildest Connemara. This intense and most physically demanding of all programmes is designed for really tough teams that never stop pushing their boundaries and always look for new challenges. Your team will be running over unmarked routes in the mountains in wildest Connemara before taking on the obstacles of the elite version of our Turf Challenge Course. Land to Sky brings your team through a specifically selected series of activities that will test cohesion, strategic thinking and interpersonal communication. 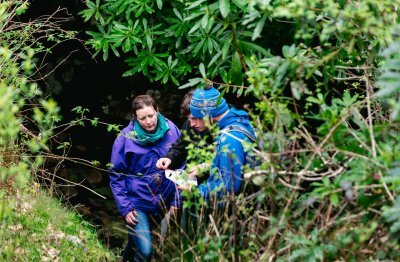 Starting on ground level, challenged by a variety of problem-solving tasks you will progress to more exposed and physically challenging quests as the day goes on.